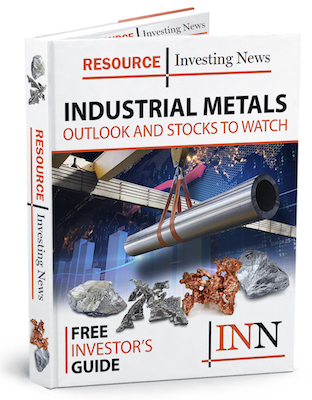 Optimism about energy storage technology has also added fuel to the industrial metal’s impressive rally over the last year. Vanadium has outperformed other battery metals like lithium and cobalt over the last year, gaining over 130 percent. Tightening supply and strong demand from the steel industry, the top consumer of the metal, has caused prices to rally, according to Bloomberg. Metal Bulletin notes that Chinese vanadium pentoxide prices have risen to about $13 per pound, up from around $9 at the start of December. Demand has risen on new regulations that have increased the amount of vanadium required in steel rebar. The added vanadium content is intended to strengthen buildings in areas prone to earthquakes. The Asian country’s government has also banned the import of four types of metal containing vanadium slag, adding to concerns about domestic supply. Speculation that vanadium redox flow batteries (VRFBs) could become an important part of the energy storage mix has also stoked optimism about vanadium. These batteries are used mainly for grid-storage applications, but Bloomberg quotes one expert who says they are emerging as a competitor to lithium-ion batteries in China. New research from ASDReports estimates that the market for flow batteries will grow from $230.2 million in 2018 to $946.3 million by 2023, at a CAGR of 32.7 percent during the forecast period. The research firm attributes the growth of this market to increasing investment in renewable energy. It notes that VRFBs held the largest share of the flow battery market in 2017, and are currently the most widely commercialized flow battery. The role that vanadium plays in the energy storage space remains to be seen, but with optimism running high it’s a space investors may want to keep an eye on. “Energy-storage technology itself isn’t new, but we’re seeing this moment where a company like Tesla (NADAQ:TSLA) comes along and changes the way people think about its potential,” Anthony Milewski, managing director at Pala Investments, told Bloomberg.